Must know cleaning, baby sitting, stitching, laundry etc. Santas Group is an International professional house maid and man power recruitment agency. We are one of the top recruitment agency. We are specialized in providing well trained and discipline maids to our customers. 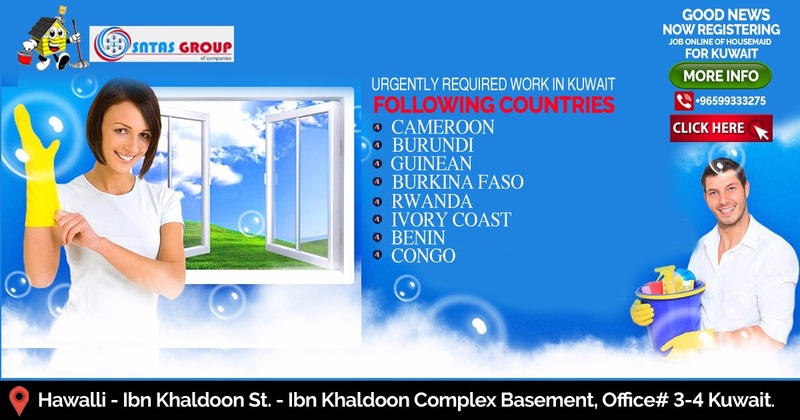 Address: Hawally - Ibn Khaldoon St. - Ibne Khaldoon Complex Basement, Office# 3-4 Kuwait.